Jones is running for Governor in 2018. In an editorial written in 2013, Jones proposed a needs-based budget approach. He wrote that agencies use current funding levels as a base amount and typically request an increase for the next year. Oklahoma has always followed this exact budget process. “[Needs-based budgeting] is a great way to reduce inefficiencies and waste out of government because your budget’s based on what’s needed, not what has historically been done,” Jones said. In 2012, Jones tried to get three different bills passed that would have allowed his office to audit every major agency on a rotating basis. The first bill was passed by the House but did not get through the Senate because one senator stalled the measure. Jones’ office created a poll about the bill. Seventy five percent of Oklahomans favored it and only 12 were against it. Jones tried again with second bill in 2015 that would have created a joint committee on accountability. It would have included members of the House, Senate, and the state auditor’s office. The bill was passed but was then, again, stalled by the same senator. The senator, Jones said, got in contact with Governor Mary Fallin’s office. Fallin vetoed the bill. This year, Jones and his staff worked with members of the Legislature to pass a third bill. He said there were three different performance bills to pass the House. 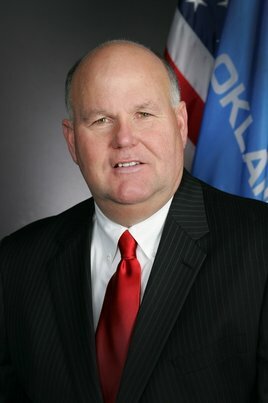 Oklahoma’s education system, Jones said, is one of the state’s biggest problems. He said officials try to micromanage everything. Jones said he would not sign a budget that does not include a fair teacher pay raise. To appeal to a younger demographic, Jones said politicians have to show them that they care, and show them there’s a future. He also wants voters to know that he has a work ethic second to none.